Tide Turning For Pork Industry? After two years in a slump, the tide could finally be starting to turn for the South Burnett’s struggling pork producers. 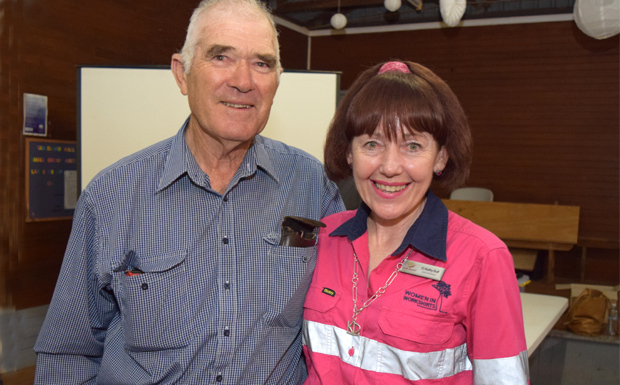 At the South Burnett Ag Network’s quarterly meeting at Tableland Hall last Wednesday night, speakers from the Department of Agriculture and Fisheries, industry group Australian Pork Ltd and Hivesville pork producer Anderlea Farm discussed many aspects of the pork industry. Since November 2016, producers have been hit with an almost perfect storm of rising input costs and falling prices that has made the past few years extremely difficult. But in recent months there have been indications the cycle may have bottomed out. And while there is still “a fair way to go” before things return to normal, speakers at the meeting agreed there was cause for cautious optimism. DAF Senior Economic Development Officer Stephanie Denman said a root cause of the slump was the drought in eastern Australia which had reduced grain harvests and forced many producers to source feed from Western Australia. Transport costs had led to the usual price more than doubling. As feed makes up about 60 per cent of most pork producers’ costs, this had a significant impact on profitability. To add to the woes, Australia’s total annual pork production is just a fraction of the world’s total production. Massive production in the United States, Canada and China had led to downward pressure on imported pork prices, forcing the domestic market to follow suit. Stephanie said Australia currently produces around 4.7 million tonnes of pork per year, and thanks to a lift in pork consumption more than 92 per cent is consumed domestically. Just 6-8 per cent makes its way into the export market, mostly to Singapore but growing export markets in New Zealand, Japan, Korea and China may enable a lift in the nation’s pork production in the future. Ashley Norval, the Benchmarking and Leadership Manager at industry peak body Australian Pork Ltd, said there were currently about 1400 pork producers in Australia. However, the top 400 producers accounted for roughly 90 per cent of all production. This meant most producers were small operators who were unable to enjoy the same economies of scale as bigger producers. At present, Australia consumes roughly five times more imported pork than it produces. While Australian Pork has a long-term plan to expand the industry, this imbalance was unlikely to change any time soon. Another outcome of this imbalance was that domestic market prices were determined more by world prices than many other agricultural commodities. Hivesville pork producer Tracy Anderson, from Anderlea Farms, told the meeting that three years ago her own family farm had determined its size wasn’t sustainable over the long term. This prompted her company to take the decision to double its capacity to 500 sows (ie. producing about 5000 pigs). To handle the increased production the company invested in modern pork producer technologies from Denmark and Holland. Tracy said the upgrade had been stressful at the start, particularly when the industry downturn hit. But after three years successfully operating at double their former size, Tracy believed the company had made the right decision. These days, pigs pass through Anderlea Farm’s ultra-modern piggery with very little human intervention. Every step is monitored with electronic tags and software that tracks each pig and ensures every animal receives the optimal mix of feed, exercise and rest to achieve its maximum growth potential. The farm is now looking at improved genetics and hand-held data capture as the next steps towards its goal of achieving long-term sustainability. 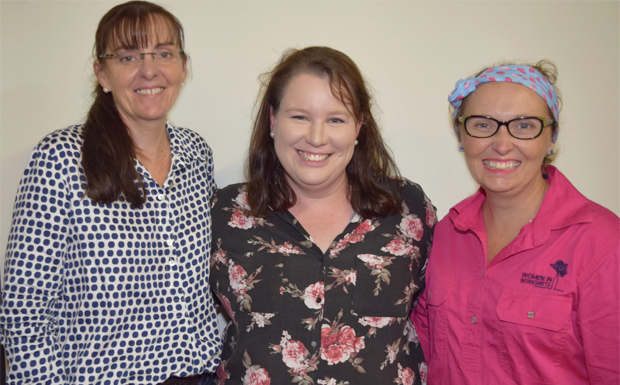 The pork mini-forum was followed by a short talk from Deputy Mayor Kathy Duff, who praised the first three speakers for their overview of the industry. “These women are a hard act to follow,” Cr Duff said. Cr Duff went on to explain her work in the Council’s Natural Resources portfolio, noting that in her 15 years on Council she had seen the importance of rural roads increase. She said there had been a growing realisation that the South Burnett is an agricultural area, and that a good rural road network directly affected growth opportunities for farmers. She went on to briefly discuss an upcoming $2 million water study being conducted in tandem with the North Burnett to examine ways to expand region’s water supply. She also talked about some recent investments the Council had made in rural infrastructure, including its January decision to invest $400,000 into restumping and re-roofing Mondure Hall. Alan Broome concluded the meeting by discussing a project he hopes to work on in conjunction with university researchers which – if successful – would provide “overlay maps” of agricultural activity across Australia. If built, maps like these could help government agencies quickly determine the impacts of natural disasters on rural areas, allowing more targeted aid and fostering quicker recovery times. Mr Broome said the project was likely to involve a combination of satellite mapping and on-ground verification of satellite data, because not all crop types could be easily identified from the air. He said a prototype of the system would likely require government funding. The South Burnett Ag Network was created by BIEDO in February 2017 as a way for primary producers to communicate, swap ideas and learn from one another. The group meets every quarter at a different rural venue. Meetings are usually preceded by a light supper and are free to attend.